The first impression of your home will make a significant impact on the buyer’s decision-making process. First impressions are everything in life, and it is no different with your home! 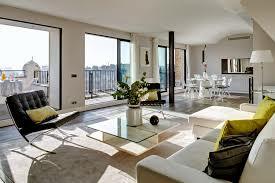 Home staging is an excellent choice. If you cannot afford an interior decorator, there are many tools on TV and online that can help to give you options and ideas. Staging is less work, and more fun than you think, especially if you ask a friend to help! 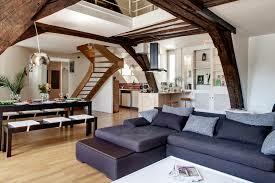 Home staging allows you to highlight the best of your home and de-emphasize its flaws. The goal is to make people feel like they could live there, and the best way to do this is to “neutralize” the surroundings. Here are some great ways to DIY home-staging for little to no expense. •Clear out all messy spaces! This especially includes closets. Give away or pack up toys, linens, and small kitchen appliances to store offsite. •When staging, spend your time focusing the most on the most visible areas. These areas are the foyer, kitchen, living room, master bedroom, and family room. If you have time, then move into the other areas of the home. Read: 5 Reasons Why You Should Stage Your House for Sale. •Remove any personal items from the home. It is important that buyers feel no personal connection to your life while they are in the home. Remove all photos from the fridge and around the house, as well as collectables. •Use plants to fill any empty spaces. Also see: 6 Simple Yet Effective Home Staging Ideas Under $40. •Read design-related books to get more ideas for how to stage your home. There are plenty of other available tools to do so, which include TV shows and the internet. Sites like Houzz are a great place to start for inspiration. •Be sure the yard is in good shape, and that the grass looks well-maintained.Throw away and replace any dead flowerbeds, replace bald spots in the lawn, and be sure to weed and sweep the driveway! Buyers assume if you don’t take care of your yard, you probably don’t take care of what’s inside. Read: Home Staging Tips Designed to Sell – HGTV. •Refrain from cooking anything with a pungent smell before prospective buyers come to view the house. 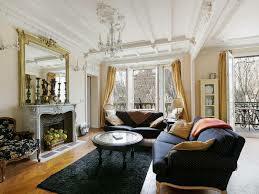 •Hire a professional to clean carpets and windows. The carpet is not optional. If you are financially in a bind, this is unfortunately something that you’ll have to spend the money on. If it is dirty and can be cleaned, the buyers will complain that it will need to be replaced. By having a professional come in and clean, you’ll know whether the carpet is acceptable or not. •Set the dining table. Trust us on this one. Buyers love to see this, because they can envision themselves having dinner or holiday parties there. They won’t realize you tricked them! •Put fresh flowers throughout the home. This always adds a nice aesthetic touch, and it is scientifically proven that flowers in the home make people happier. •If you are fortunate enough to have a fireplace, go ahead and light it! Nothing is more inviting to a prospective buyer than a warm firing going during the colder months of fall or winter. 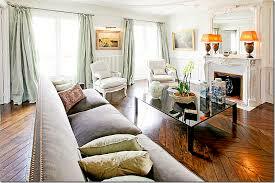 See: Home Staging Ideas – Houzz. •Use as much natural light as possible. Open all shades and curtains in the home. Open the door to the back patio, so that they see the sunlight when they come in. If it is nighttime, turn on all the lamps in the house. Change any bulbs that have tired, to fresh ones so they will shine bright. •Complete any simple touchups such as a broken fence, or a squeaking stairs. •Ask a friend or family member to come over and see what they think. They will be able to point out things that you missed, or give you new great ideas that you hadn’t thought of. Staging is SO important. 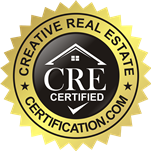 Even if you don’t want to pay for a stager, you should still call them for a consultation and they can give you advice. It’s worth the $100 fee, or whatever it may be to come meet with you for an hour.